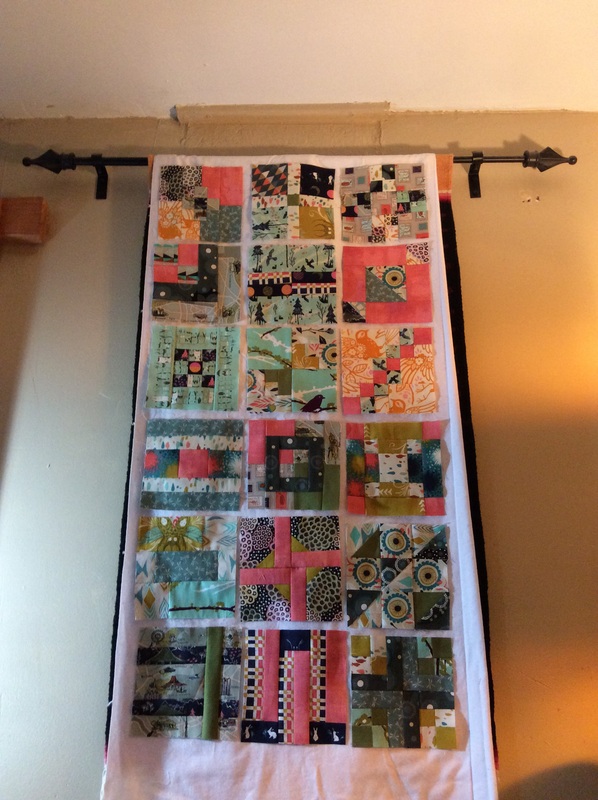 I have decided to join the 3rd Quarter of the 2015 Finish-Along in hopes that it will motivate me to have three quilts completed by early October. The first is My Birthday Gifts wall-hanging that I wrote about in my Do-Overs post. The next one is the Fashion and Food quilt that I am making for my niece, Mary Frances. So far I have just gathered the fabric for the inner rectangles. I was going to use blender fabrics for the outer squares, but I think I’m going to use a medium grey to keep it from being too busy. My niece knows I am making a quilt for her birthday next month (it won’t be done by her actual birthday! ), but she doesn’t know anything about the design or the fabric. My sister helped me pick a few of the fabrics out which is probably my favorite part of the quilting process. Mary Frances follows me on Instagram, but I don’t think she is following my blog, so I think it is safe to post about this project here (I hope!). The last project I am listing for this quarter’s Finish-Along is a colorful baby quilt I have just started. 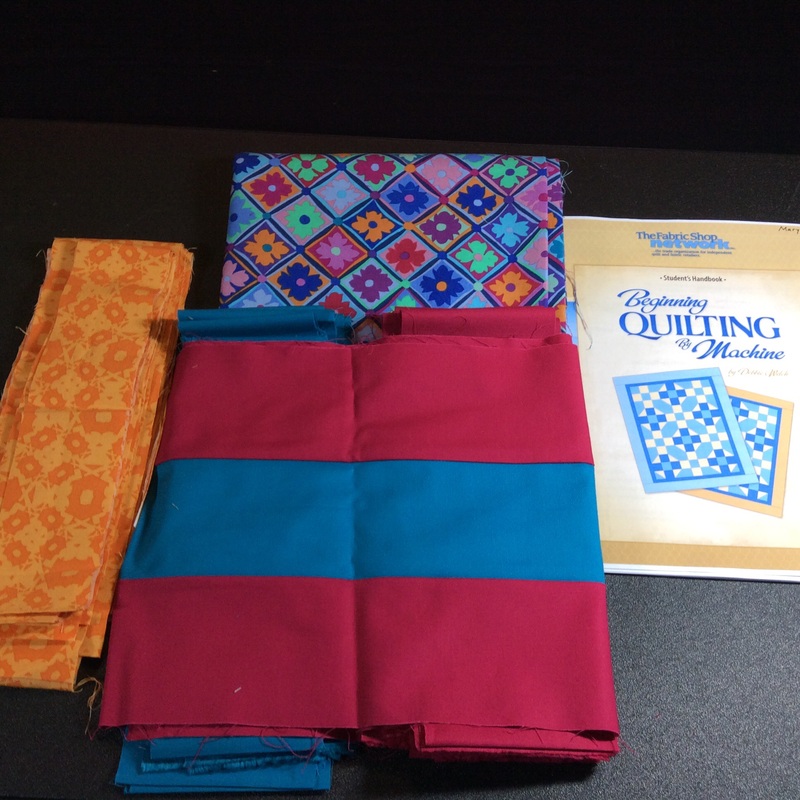 I am taking a beginning quilting class at my local quilt store, Threadbear, partly to support a friend who wants to learn how to quilt (and I don’t want to teach her!) and partly to fill in some of my own gaps. I have already learned a cool tip for doing rotary cutting when your cutting table is against the wall like mine is. See pics of it in my 2015 New Quilt Bloggers Blog Hop post here. This entry was posted in WIP and tagged Fashion and Food Quilt, Modern Baby Quilt. Bookmark the permalink. Yes, indeedy, this blog will be our little secret until you let Mary Frances know about it! Love the fabrics you’ve picked out and the theme! Good luck with this quarter’s goals! 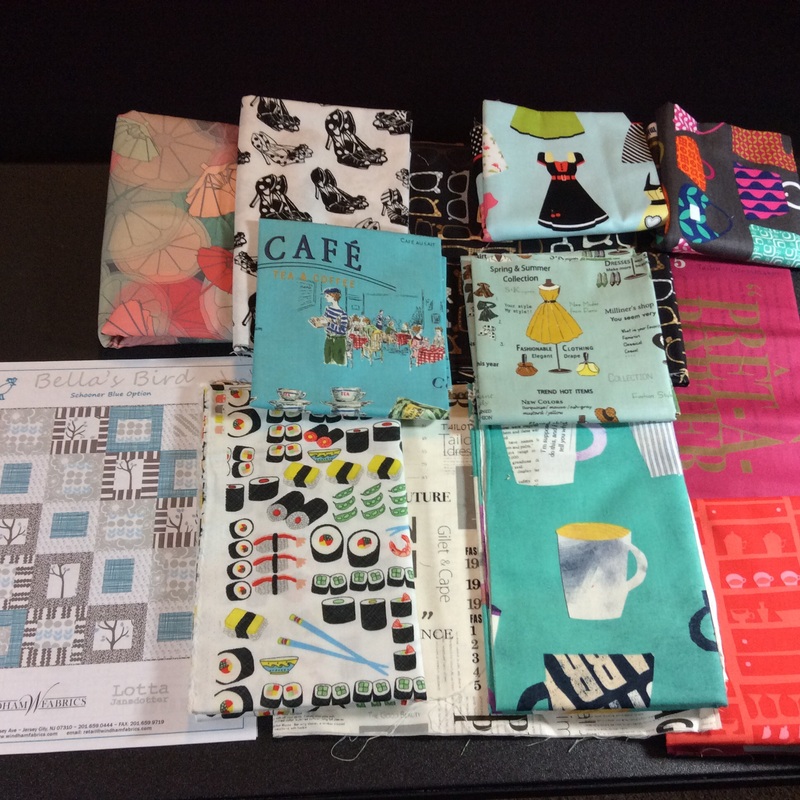 The fashion and food fabrics are so fun. And your baby quilt project will be such fun to work on with the bright colors. Good luck getting your projects done.